Conditions of the throat can be a as simple as a minor nuisance or a major ordeal. Tonsillitis, strep throat, voice disorders, and even hoarseness all interfere with our ability to communicate. Many of these conditions can be improved or corrected with the care of one of our practitioners at Lake ENT.While always a last option, we are extremely versed in the surgical treatments sometimes required to resolve such issues. The removal of tonsils and adenoids may be part of your treatment. Minimally invasive procedures employed by the physicians at Lake ENT has reduced discomfort and recovery time from months to, in some cases, days. Voice not as strong as it used to be? Noticing increasing hoarseness? Perhaps you’re having difficulty swallowing food, liquids, or saliva. There may be numerous reasons causing these conditions. Our Board Certified doctors along with our Speech Language Pathologist (SLP), Rebecca Hill , M.S. CCC-SLP can evaluate patients and develop a Plan of Care for adult patients who are experiencing a Speech (Voice) Disorder or Dysphagia (Swallowing Disorder). Voice Disorder is often a problem with the way the voice sounds. A patient my sound hoarse, have a high or low pitch, can be nasally or even have a denasal sound. These problems can be a result from allergies, chronic sinus infections or even severe sore throats. We use one of the most state-of-the-art techniques currently available to exam the larynx, Video Laryngeal Stroboscopy. This painless, office-based procedure assists our doctors and SLP in evaluating the larynx/voice box with a telescopic view in order to provide their recommendations. Dysphagia or Swallowing Disorders can occur at one of the three stages of swallowing process: Oral phase (mouth), Pharyngeal phase (throat) or Esophageal phase (esophagus). General signs can include coughing during or right after eating or drinking, a gurgle voice during or after eating or drinking or recurring pneumonia. 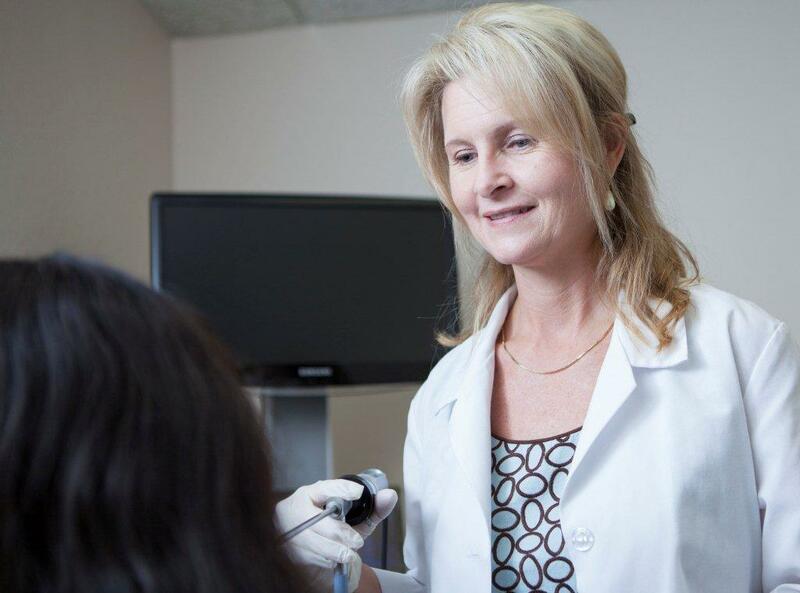 We perform a Flexible Endoscopic Evaluation of Swallowing (FEES) test in our office to assess the swallowing function. This test provides a detailed picture of the patients throat and assists in evaluating the source of pain, hoarseness or other problems the patient is experiencing with the swallowing process. We strive to achieve desired results and look forward to providing comprehensive care at any of our three Lake County offices; Leesburg, The Villages and Tavares.